If you have any stories and/or pictures of the places that made Orinda our special hometown while we were growing up, please let us know. Do your remember CLifford 4-xxxx? 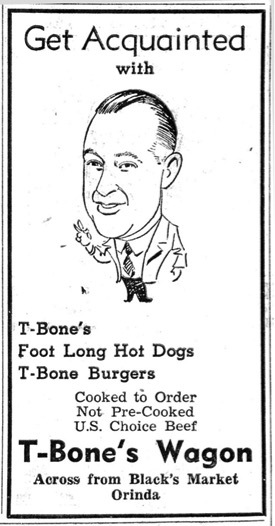 Do you remember T-Bone's hamburger stand? Do you remember Black's Market? 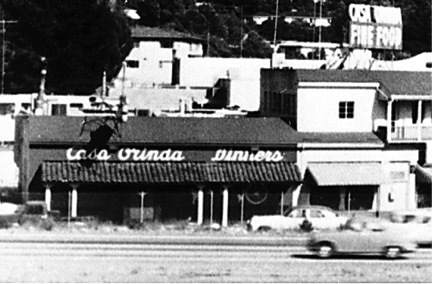 Black’s Market was started in Orinda in 1947 by Frank Black, Black’s was an Orinda institution for over forty years. In 1948, Vasco moved to Orinda and started the butcher shop in Black’s. In 1960, he bought Black’s. The market was a well-loved store known for its quality and service until it closed in 1991. 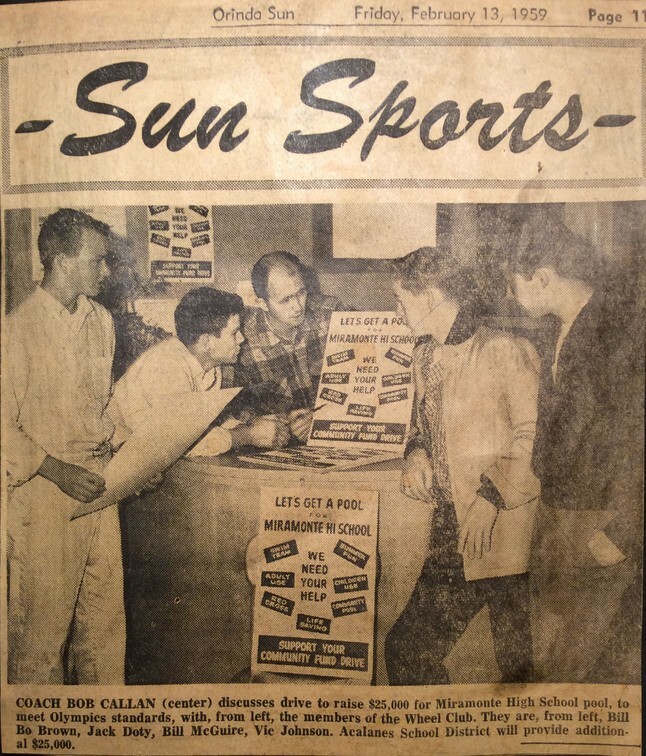 Do you remember raising money for a Miramonte swimming pool?